If you love make up and want something to last a lifetime then books never go out of fashion. My most fascinating books in my collection are the Kevin Aucoin ones. He was a pure genius and very famously changes faces. See how he turns Lisa Marie Presley into Marilyn Monroe with his contouring skills, it's mind blowing. Both books available from Amazon. I really love a bit of history because without that we wouldn't have had any of the fabulous makeup trends over the years. Lisa Eldridge's book is a great one for the collection because she is a makeup artist we look up to and love. 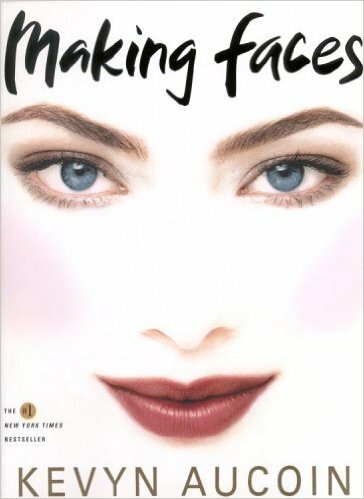 In this book, Lisa Eldridge dives into the history of the beautiful art form of makeup through the ages. She shows us the reasons behind the use of makeup and how new cutting-edge technologies have shaped products and techniques into what we know them to be today. Available on Amazon and at Waterstones. I am also loving Supermodel tips which is written by none other than our wonderful Carly Hobbs who we represent on our books at Creatives Agency. I am so proud of her, she is such a wonderful writer, makeup artist and general all round doll. If you want to know the beauty secrets behind supermodels such as Kate Moss, Giselle Bunchen or Cara Delevigne then you're going to love this book! It's crammed with insider tips and tricks on how these flawless beings always look amazing! If you want to learn about how they keep their makeup on point, stay fit and prepare for their supermodel duties then pick up this gem now! Available on ASOS, at Urban Outfitters and on Amazon. Well done Carly, it's now pride of place on my bookshelf!